Jay Bala was interviewed by Investment Conversations, a personal finance blog. Click here to read about AIP Asset Management’s Senior Portfolio Manager and CEO’s career on Bay Street. Jay Bala is the CEO and Senior Portfolio Manager of AIP Asset Management, an award-winning asset management firm in Toronto. Jay has over fifteen years of industry experience. 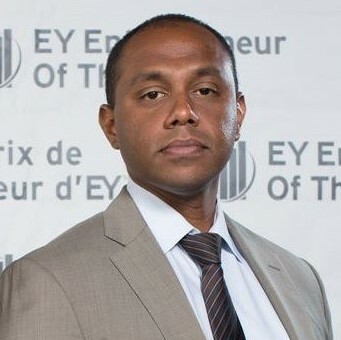 He previously worked as an Associate Portfolio Manager with Kingsmont Investment Management and Third Eye Capital as an Investment Analyst which manages the Sprott Private Credit Trust. Prior to that, Jay was an Equity Research Analyst at a leading independent boutique investment bank and worked at the family office of one of Canada’s wealthiest families. Jay holds a Bachelor of Commerce from the University of Toronto and is a CFA charter holder. In 2014, Jay was a nominee for the Ernst & Young Entrepreneur of the Year Award. Safe to say he’s made quite a name for himself in the asset management industry in Canada. It is no wonder that I jumped at the opportunity to interview Jay. For a lot of young people, that are interested in a career in asset management in Toronto, they find that there is not a lot of information regarding the different opportunities in the industry. This interview, will show you how Jay got started in his career in asset management and how he got to where he is now. He also speaks about opportunities working in family offices, an area in asset management that a lot of people are not very familiar with. Q: You have an undergraduate degree in finance and a long career in asset management. Did you always know that you wanted to work in the asset management industry? Did you ever consider doing anything else? At their modest level of wealth, they did not “qualify” for access to highly educated teams of professional money managers used by institutional investors. When the market bubble burst in 2001, my parents suffered emotionally and financially when their savings decimated. It was then that I knew I had to come up with a way everyday investors could gain access to a level of guidance and risk protection traditionally afforded to the ultra-wealthy – thus, the idea behind AIP Asset Management was born. Q: A lot of people are not familiar with the concept of family offices. You have experience working in the family office of one of the wealthiest families in Canada. What valuable experience did you gain working in a family office that you would not have gained anywhere else? JB: A traditional Family Office is a private office that manages investments and trusts for a single family (usually for very wealthy families – $100 million plus). When I was working in a Family Office, I realized that the value of working within a family office lies in the fact that you are surrounded by people who can analyze information at an in-depth level and know exactly what to do with it. We live in a world where everybody has access to information, but only a select few know exactly how to manage a portfolio with it. At AIP, we have a “New Family Office” model, which allows advisers and clients gain access to the best in-class services all in one place. This is advantageous for both parties since advisers get to have access to high net worth services and professional money managers through an independent firm with no bank bias, while clients receive alternative investment strategies, tax efficient fees, a customized portfolio, detailed reporting, the diversification of their source of returns and the ability to pursue growth opportunities around the world. We’ve revolutionized the traditional “family office,” positioning us as an alternative investment firm. The team at AIP consists of specialist professionals that deliver fiduciary advice, at an institutional-quality level, to the everyday investor, at a significantly reduced cost. We’ve revolutionized the traditional “family office,” positioning us as an alternative investment firm. Q: You have had a lot of success in your career, and in 2014 you were nominated for the prestigious Ernst & Young Entrepreneur of the Year Award. What are some daily rituals that has contributed to your success as a portfolio manager and an entrepreneur? JB: In finance, it is critical to be client-focused. If you’re interested in working in the industry, work life balance doesn’t really exist. It’s all about work-life integration! When your work becomes your passion, especially as an entrepreneur, you will adapt to this kind of lifestyle. Q: Let’s change gears a bit and talk about AIP. The company has received several awards and is internationally recognized. In your opinion, what makes your firm stand out from other wealth managers in Canada? JB: At AIP, our unique selling proposition is our ability to offer what was traditionally reserved for high net worth individuals to the everyday investor. We are one of the few asset managers in the country who do this through an integrated family office. We work with advisers to add value to their services and existing clients. For instance, we reconnected with a referral partner located in Vancouver back in 2015. To ensure we were all on the same page, AIP flew out to Vancouver to meet everybody on their team! Through our partnership with the firm, they have the ability to supply their clients with top-tier talent in investment management – something they wouldn’t gain access to if the partnership didn’t exist. I spotted the opportunity to give the everyday investor access to fiduciary advice at an institutional-quality level. The services we provide were historically out of reach to the average investor because of minimum account requirements, but what we offer here is the ability to provide such services to the masses. AIP has a flexible fee structure that aligns our interests with our referral partners. If we don’t meet their expectations, we reduce our fees in half. We are open to discussion with our clientele, and that is what sets AIP apart from everybody else. Q: All companies have personalities much like people do. What is AIP’s personality? JB: It would definitely be: ambitious, relentless and driven. Q: Generally speaking, how does working with an asset management firm like AIP bring value to the people who work with you such as financial advisors, tax professionals and insurance advisors? JB: The advantage of working with AIP Asset Management as a finance professional such as a financial advisor, tax professional or insurance advisor lies in the fact that we give them access to a full range of services for their clientele that they wouldn’t have otherwise been able to offer. AIP brings value to advisors by adding to their credibility as a resourceful professional providing a multitude of investment strategies their competitors don’t have access to. This in turn leads to business growth for our advisors, while affording them more free time, an increase and protection of their income in the event of death or disability, access to the professional money managers at AIP and detailed reporting and account monitoring for their clients. The freedom and spare time to do whatever they choose is what we offer to our referral partners. That’s not something many people come across often. It’s really a win-win situation for all parties involved. Q: How do you decide which companies to invest in? What is your investing strategy? JB: I invest beginning with a top-down analysis, which means I look at geopolitical events, and identify which countries have the best three-to six-month outlook. Next, I focus on sectors within those geographies that appear poised for the strongest performance. Then, I take a look at which companies are performing the best within those sectors, this is where the bottom-up analysis comes in. Ten percent of my portfolio consists of special situations. The goal here is to create alpha-generation via distressed debt, privately negotiated loans and convertibles. However, it tends to take longer for due diligence to be completed for a special sits deal, usually four to six weeks rather than a standard two to three days on a stock position. Q: What advice do you have for people who are just getting started with investing? What are some things they should absolutely know? JB: Start early, plan for your future and let the experts like AIP Asset Management partner with you. Thanks a lot for your time, Jay!